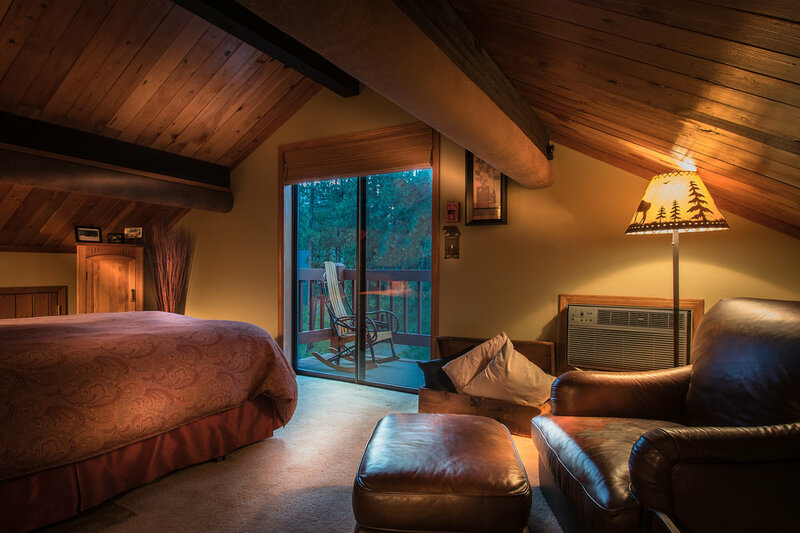 Queen bed room at the top of the Lodge with forest views, vaulted ceiling & private deck. Queen bed upper floor room with a vaulted ceiling and forest view. Queen bed upper floor room with natural light and forest view. Queen bed upper floor room with a vaulted ceiling and forest views. Queen bed main floor room with seating nook.